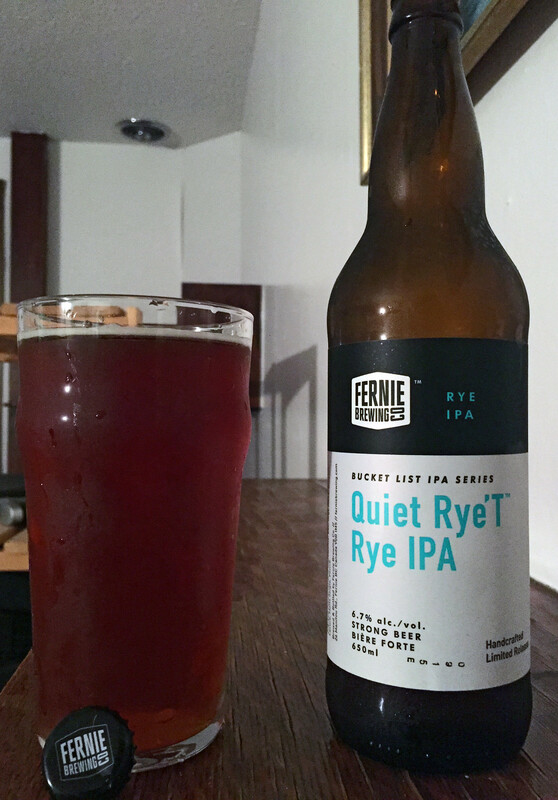 This week’s beer is Quiet Rye’t Rye IPA by Fernie Brewing out of, you guessed it, Fernie BC! I find Fernie Brewing likes to bring out a new seasonal once every few weeks, to the point that I’m overwhelmed and can’t keep up. 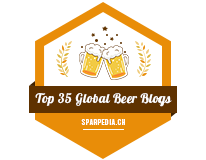 Here in Manitoba, they currently have their Quiet Rye’t, Lone Wolf IPA, Sap Sucker Maple Porter, Snowblind Belgian IPA and Kickstand Honey Kolsch available in single serve bottles - that’s more than the single serve products by Fort Garry and Half Pints combined! 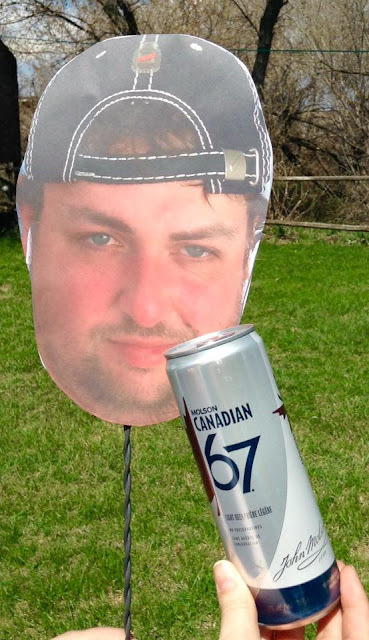 My favourite of theirs so far was What the Huck Huckleberry Wheat Ale, which was gifted to me by CBC Music’s Grant Lawrence - whose father actually grew up in the Onanole area! Quiet Rye’t is part of Fernie’s Bucket List IPA series of beers, which is a series of one-off experimental IPAs ranging from bready yet sweet and citrusy to bitter and piney. Seeing Quiet Rye’t is brewed with a decent amount of rye malt, I expect this to be more of a moderate IPA rather than bitter. Quiet Rye’t pours a fairly clear caramel amber ale, reminiscent to beers like Sleeman Honey Brown or Half Pints’ Bulldog Amber Ale, very reddish/caramel hue to it. Fairly decently carbonated with just a light amount of foam on top. The aroma has a nice sweet caramel sweetness to it, followed by fresh hops from the Pacific NorthWest, which gives it a very floral, parfumic yet bitter aroma to it - a bit of a pine aroma to it. A bit of a spicy, peppery aroma coming from the rye malt. Fairly bready. The taste starts off lightly spiced from the rye malt, giving it a bit of a hint of peppery bite to it, followed by a rich breadiness that can be best described as Winnipeg Rye Bread. The hops quickly make an appearance, giving it an earthy, floral, and somewhat bitter pine bite to it. There’s also a hint of caramel to give it a bit of a sweetness to top it all off. The thing that surprises me most is that it’s very easy on the palate, it’s very smooth, a bit creamy on the tongue and very easy to drink.